Virtual IT Partner Business Solutions offers business management software and services that help small and midsize organizations automate processes, make more profitable decisions, and accelerate growth. These financial management solutions include general ledger, payables, receivables, inventory, sales, purchasing, bank reconciliation, fixed assets, and more as the backbone for the rest of your business-critical systems. Tight integration lets you efficiently track and analyse key information, improve productivity, and drive smarter decisions. 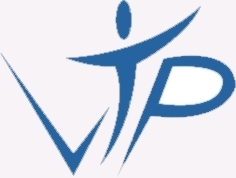 VIP software gives you the integrated tools you need to master your financial data and processes, taking full advantage of the information your financial system contains. With instant access to accurate, up-to-the-minute financial information, you are equipped to make informed operational and strategic decisions at a moment's notice, and map the course to your successful future. Manage your current cash inflow and outflow more efficiently and forecast balances based on multiple scenarios to improve cash flow control and help ensure that cash flow concerns are dealt with effectively. Make better-educated, day-to-day financial decisions with your cash flow details presented in a user-friendly, calendar-based interface that helps you sort through information quickly and yet gives you details when and where you need them. View all your collections information, including contact notes, and To Do items, within a single, customized interface that gives you the exact information you need. Centralize your customer contact and collection functions and reduce the expenses these cause with automated customer tracking and follow-up for collections. Target customers that meet specific criteria for overdue payments and automatically send them collections letters, e-mails, statements, and invoices. Customize the selection of data to include in your calculations and manage cash flow without having to export data to a spreadsheet. Control your day-to-day operations with clear views of daily inflows and outflows of cash to identify shortfalls or surpluses and running balances. Click on cash flow entries and view the originating transaction to see which payments and cash receipts affect your cash flow on any given day. Create up to three different forecasts based on many different scenarios, including different opening balances, information from other modules, and posted or unposted transactions. View your cash flow for the current or coming months, scroll from month to month, or check specific dates using the graphical calendar view. Display detailed listings of all source documents making up the net change to cash flow in a given day, and drill down for greater detail. Find information quickly with intuitive, graphical views that can be expanded or collapsed to show or hide more detailed subentries. Show cash flow trends clearly with weekly and monthly calendar reports, including base summaries, source-based summaries, source-based details, transactions by category, and more. Build and store queries to target and view customers that meet a user-defined criteria, such as balance, notes, customer, credit manager, and commitment status. Automate printing and faxing of collections letters, e-mails, statements, and invoices to customers with the push of a button, customized by customer and days overdue. Set automatic follow-up actions and reminder dates with the intuitive Collections Task List to view completed and uncompleted tasks, as well as completed or uncompleted payment promises by customers. Keep your accounts up to date with seamless integration to Great Plains Receivables Management and General Ledger applications. Did you know you can run the latest operating systems with an old Pentium pc?